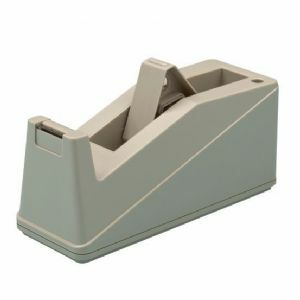 A heavy-duty weighted tape dispenser of contemporary design. Made of high impact-resistant plastic. For use with tape up to ¾" wide, both in 1" and 3" core size. Available in light grey color.